Joshua praying for the sun to "stand still"
In my first piece on “Types and Shadows”, we examined the reign of King Nebuchadnezzar in the book of Daniel and how so much in his career was a foreshadow of the actions of the end-times Antichrist. As we continue in this series, I wanted focus on the book of Joshua, a book that is not often thought of as end-times prophecy, but is. In fact, although this article will focus on one chapter, the case can be made that the entire book of Joshua is a preview of the book of Revelation. Joshua was a mighty military leader and great servant to The Lord. As he led the Israelites into the Promised Land, he wages numerous military campaigns. There is one battle in Chapter 10 of Joshua that raises lots of prophetic, end-time red flags: the battle against Adonizdec. Joshua 10:1 Now it came to pass, when Adonizedec king of Jerusalem had heard how Joshua had taken Ai, and had utterly destroyed it; as he had done to Jericho and her king, so he had done to Ai and her king; and how the inhabitants of Gibeon had made peace with Israel, and were among them; 2 That they feared greatly, because Gibeon was a great city, as one of the royal cities, and because it was greater than Ai, and all the men thereof were mighty. 3 Wherefore Adonizedec king of Jerusalem, sent unto Hoham king of Hebron, and unto Piram king of Jarmuth, and unto Japhia king of Lachish, and unto Debir king of Eglon, saying, 4 Come up unto me, and help me, that we may smite Gibeon: for it hath made peace with Joshua and with the children of Israel. 5 Therefore the five kings of the Amorites, the king of Jerusalem, the king of Hebron, the king of Jarmuth, the king of Lachish, the king of Eglon, gathered themselves together, and went up, they and all their hosts, and encamped before Gibeon, and made war against it. From the earliest chapter of the Bible Jerusalem was a Holy City of The Lord (see Genesis 14, when Melchizedek, the King of Salem – or Jerusalem, encounters Abraham). But by the times of Joshua, the city had been turned over to paganism. The nations in the Promised Land at the time of the book of Joshua were usurpers, working in Satan’s grand scheme to keep the Israelites out of the Promised Land and destroy the lineage that would lead to the Promised Messiah, Jesus Christ. On the side of The Lord, we see even more prophetic confirmation in Joshua. The name Joshua or Yeshua in Hebrew, means “salvation.” In fact Joshua is the Hebrew form of the name “Jesus” and of course in the end times it will be Jesus who defeats the Antichrist (Revelation 19). So as we see another link to end times prophecy, the type and shadow of this chapter becomes more clear. 1 Thessalonians 2:2 That ye be not soon shaken in mind, or be troubled, neither by spirit, nor by word, nor by letter as from us, as that the day of Christ is at hand. 3 Let no man deceive you by any means: for that day shall not come, except there come a falling away first, and that man of sin be revealed, the son of perdition; 4 Who opposeth and exalteth himself above all that is called God, or that is worshipped; so that he as God sitteth in the temple of God, shewing himself that he is God. The Apostle Paul prophesied that the Antichrist or “son of perdition” will sit in the temple of God, proclaiming that he is God and exalting himself over The Lord. The temple of God at that time was and can only be in Jerusalem on Mount Moriah. There is no temple there today (as it was destroyed in 70 AD by the Roman Empire) but this verse has led many to believe a future temple will be built. Just as Joshua defeated the pagan usurper to reclaim the Holy City for the Lord, so too will Jesus Christ return to Earth and defeat the false Messiah Antichrist and reclaim the entire world for God. Adonizedec’s hostility towards God’s people is obvious. Once he heard of the victories of Joshua and how the Gibeonites made peace with him, Adonizedec wanted to wage war with them just for extending peaceful relations the God’s chosen nation. It seems the “Roadmap to peace” with Israel was just as treacherous then as it is today, with nations still unwilling to achieve peace with Israel. And thus Adonizedec sought to destroy them. So too will the Antichrist seek to persecute and kill the saints of God in the end-times (Revelation 13:7). We know from Revelation 13, that the Antichrist’s government will be global. He will have control over all nation of the world. However, prior to being the sole global dictator, he will share his power. The final world government shall be comprised of ten regional rulers who will be in power for “one hour” with the beast. The angel sent to explain the visions the Apostle John views in chapter 17 identifies the horn on the beast as these rulers. Daniel chapter 7 also identifies the 10-horned beast with an 11th horn rising from them that would become the Beast of Revelation. 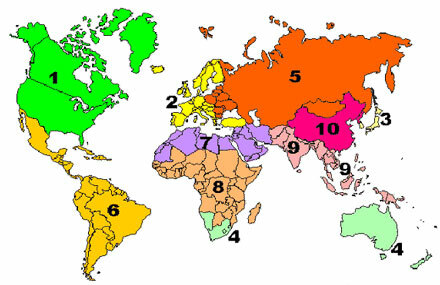 After the set time of “one hour”, the ten regional rulers will then conspire to transfer all of their power and authority to the Beast giving him complete global control. And the end goal of this confederation is the same as it was in the times of Joshua: to wage war and conquer God’s people. Although this may not be the final map used in a global government. It is this author’s belief that it will be something similar. Some prophecy scholars advocate that the Antichrist’s Kingdom will be a “revived Roman Empire” comprised mostly of present-day Europe and the Mediterranean. However, this does not jive with the descriptions of the Antichrist’s authority in Revelation which is global. And with the European Union formed, African Union coming to fruition and similar, regional confederacies springing up, this prophecy is becoming more and more of a reality. In Revelation, one of the judgments we read is very similar: Revelation 16:21 And there fell upon men a great hail out of heaven, every stone about the weight of a talent: and men blasphemed God because of the plague of the hail; for the plague thereof was exceeding great. 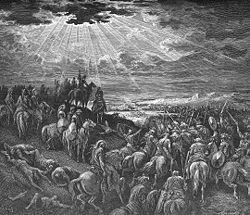 Joshua’s battle was also famous for being the day the “sun stood still”: 12 Then spake Joshua to the LORD in the day when the LORD delivered up the Amorites before the children of Israel, and he said in the sight of Israel, Sun, stand thou still upon Gibeon; and thou, Moon, in the valley of Ajalon. 13 And the sun stood still, and the moon stayed, until the people had avenged themselves upon their enemies. Is not this written in the book of Jasher? 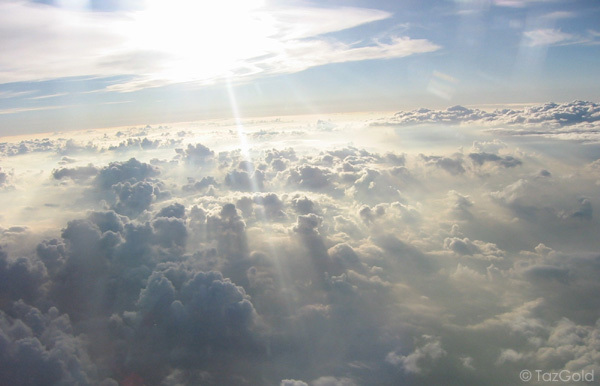 So the sun stood still in the midst of heaven, and hasted not to go down about a whole day. In both instances, the sun and the moon have unprecedented actions that would surely signify God’s Hand at work. Interestingly, in Revelation, these signs are accompanied by a devastating global earthquake that sends all the rich and powerful people of the world into hiding in holes and caves. 16 But these five kings fled, and hid themselves in a cave at Makkedah. 17 And it was told Joshua, saying, The five kings are found hid in a cave at Makkedah. Joshua eventually defeats Adonizedec and all of the usurper Kings and in like manner Jesus will defeat the Antichrist with the brightness of His Coming (Revelation 19). This passage which is prophesying about the final end time battle of Armageddon, again links the Joshua Chapter 10 battle to the end times. That battle with Adonizedec was the day when God fought and once again in the Day of The Lord (during the end times tribulation), God will once again rise up to fight on behalf of Israel. As we see in this overlap of the signs in these battles we can conclude that Joshua was indeed a type of Jesus Christ and his war to lead God’s nation into the Promised Land was a shadow of Jesus Christ’s future defeat of the Antichrist and reclaiming the Earth for the saints of The Lord. These remarkable patterns that The Lord has put in the Bible help inform us when we are trying to interpret prophetic Scripture. Any future event should have a prior type in Scripture and we should study the Word diligently to find out to confirm what we may think to be true. And all of this will help us to keep our eyes open to world events as the Word of God becomes more and more of a reality. 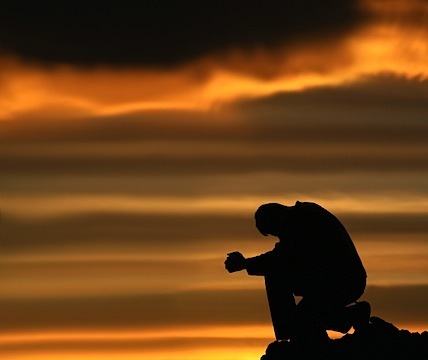 It is the glory of God to conceal a thing: but the honour of kings [is] to search out a matter. — Proverbs 25:2. This is the basis of the Christian faith. We can spend countless hours (and many do, myself included) debating the timing of the rapture, proofs in nature and science about fossils and flood levels or whether our universe is finite or infinite (for the record — it’s finite). But those debates are utterly pointless without salvation in Christ. “First of all” Christ died for our sins! In God’s love for us, a love we cannot either fully fathom or comprehend, He sent His Son to die for the myriad sins we have committed. In order for us to avoid the wrath of a Perfectly Just and Holy God, Jesus paid our debt to Him for us. But that is not all in this beautiful love story. 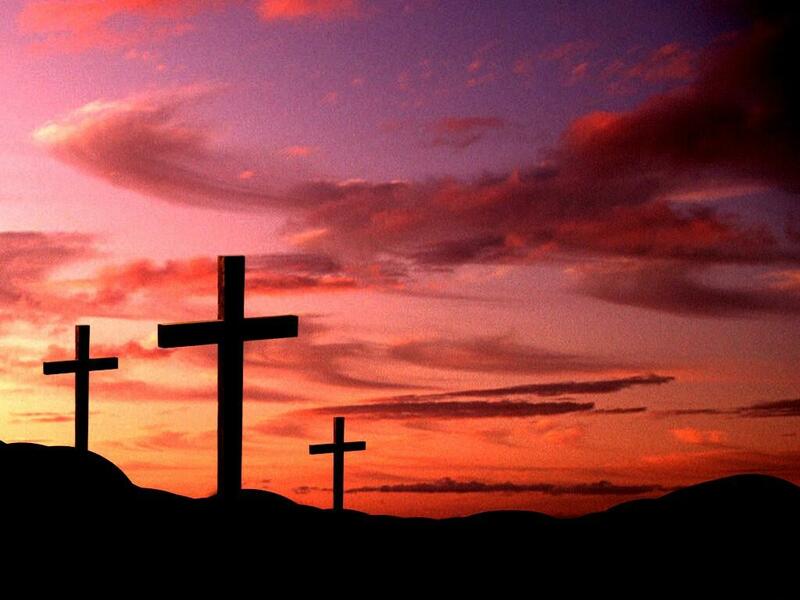 Just as important in the Good News is that Jesus Christ is risen! Without the resurrection our faith is in vain. But with the resurrection we have the blessed hope and assurance that we too will be resurrected in the same manner as Jesus, by the same Holy Spirit to live eternal life with him forever.